"We do this - there is no half way." 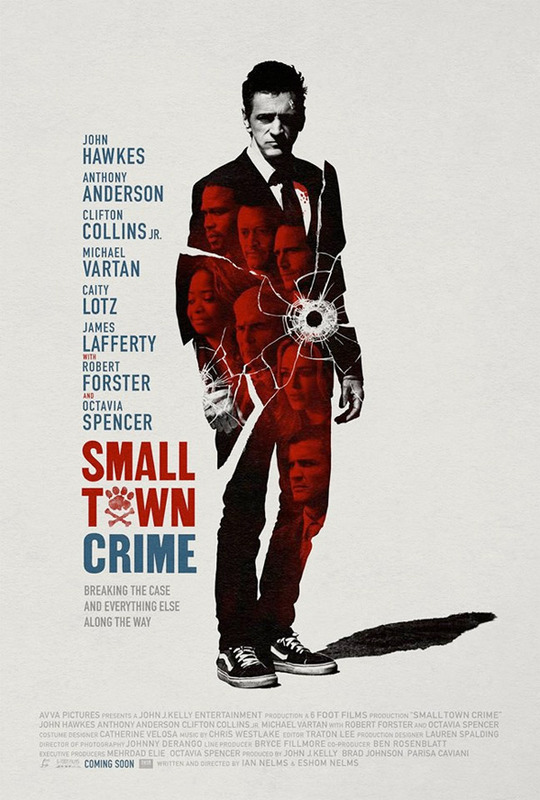 Lionsgate has unveiled the first trailer for an indie dark comedy titled Small Town Crime, which played at the SXSW and London Film Festivals. The "small town" crime film stars John Hawkes as an alcoholic ex-cop who finds the body of a young woman and, through an act of self-redemption, becomes hell-bent on finding the killer but unwittingly puts his family in danger and gets caught up with several dark characters along the way. Sounds fun, no? The ensemble cast includes Octavia Spencer, Anthony Anderson, Robert Forster, Clifton Collins, Jr., Michael Vartan, James Lafferty, Daniel Sunjata, Caity Lotz, Jeremy Ratchford, Don Harvey, Stefanie Scott, and Dale Dickey. This looks pretty much exactly as it sounds, but at least it's nice to see Hawkes in another lead role. Ex-cop Mike Kendall (John Hawkes) discovers the body of a young woman and, in an act of self- redemption, becomes hell bent on finding the killer. While his un-couth and quirky detective style helps break open the case, his dogged determination unwittingly puts his sister (Octavia Spencer) and best friend (Anthony Anderson) in danger. 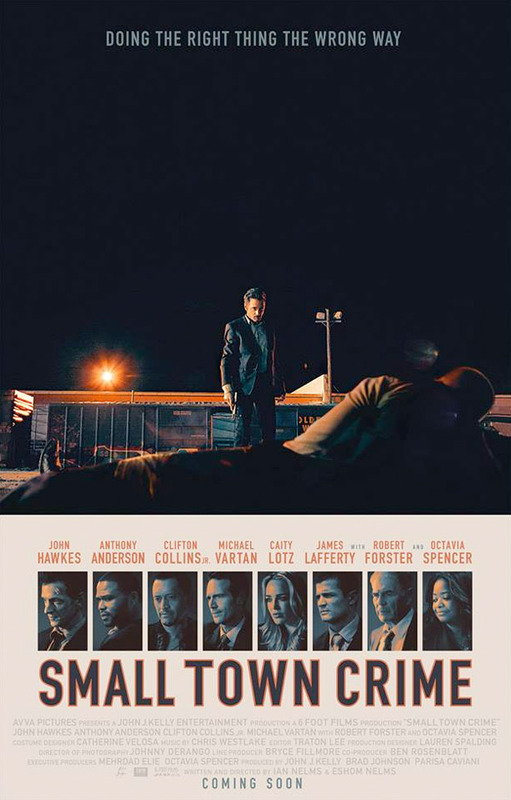 Small Town Crime is both written and directed by two American filmmaking brothers Eshom Nelms & Ian Nelms, of the features Night of the Dog, Lost on Purpose, and Waffle Street previously, along with numerous short films. This first premiered at the SXSW Film Festival this year, and also played at the London Film Festival in the fall. Lionsgate will release the Nelms Brothers' Small Town Crime in select theaters + on VOD starting January 19th at the start of next year. Thoughts?